Nebraska artist, Debra Joy Groesser is best known for her impressionistic landscape paintings, particularly her plein air work. Debra's ability to render emotion, mood and a sense of place draws collectors worldwide to her work. "Painting is such a spiritual experience for me. Nothing inspires me more than being out on location, capturing the subtle nuances of color, light and atmosphere that can only be achieved by painting from nature. When I find a subject that triggers a strong emotional response in me, I know that's what I have to paint. My greatest satisfaction is when the viewer has that same emotional response to my subject that I did." Debra also paints portraits and figurative works. She has participated in countless juried and invitational exhibitions, including American Impressionist Society National Exhibitions, Oil Painters of America National and Regional shows, Salon International, Plein Air Artists Colorado National Exhibitions, Laguna Plein Air Invitational, Carmel Art Festival, Door County Plein Air Festival, and Montgomery Museum of Fine Arts Biennial Auction. Her work has been featured in numerous national art publications. 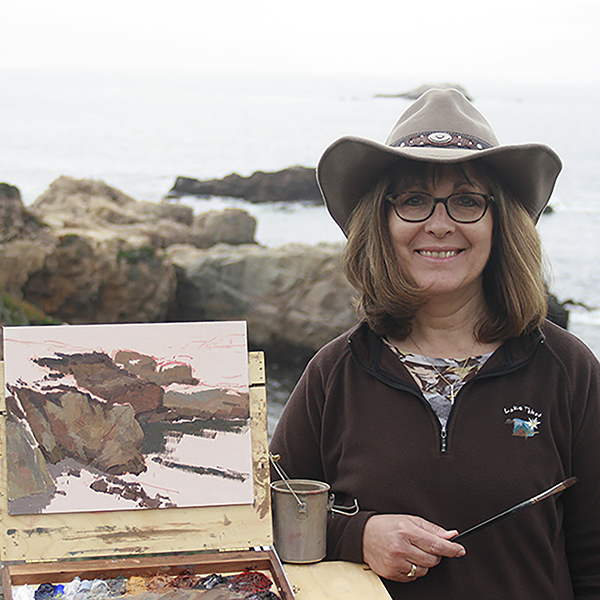 Debra is a signature member of the American Impressionist Society, Laguna Plein Air Painters, American Plains Artists and Plein Air Artists Colorado. Debra is represented by SouthWind Art Gallery, Topeka KS, Vanessa Rothe Fine Art, Laguna Beach CA, and Mary Williams Fine Art, Boulder CO.
Warmest greetings to you all! It is a tremendous honor to serve as your CEO/President, and I am sincerely humbled and grateful to the AIS board and founders for the confidence and trust that they have placed in me and my husband Don, your national treasurer. I'm very much looking forward to another exciting year and to meeting as many of you as possible! AIS is a successful, highly respected art organization, carrying out the mission of promoting the appreciation of impressionism. AIS could not survive without the dedication of our board, officers, founders and volunteers. I want to especially thank Cheryl St John, our Vice President again this year, Cindy Baron and Bill Davidson, our 2017 Show Co-Chairs, Vanessa Rothe, our educational director, Becky Joy, our social media coordinator, Stephanie Amato, our creative director and (designer of our new website! ), and our newest board member, Doreen St John. We also thank all of our volunteers who work so hard to make our exhibitions possible. If you would like to be involved, please send us an email or give us a call! We are so pleased to hold our inaugural AIS Impressions Small Works Showcase this year in March at Randy Higbee Gallery in Costa Mesa, CA. This will be an annual juried show, in addition to our big National Juried Exhibition in the fall (this year Sept. 28-Oct 29th at Montgomery-Lee Fine Art in Park City, Utah). We are proud to offer many demos, lectures and programs for our members in conjunction with each of these exhibitions, most at no extra charge for members, along with oustanding workshops at a reduced cost for members. We hope you will take advantage of these member benefits! Finally, for those of you who don't know me, let me quickly introduce myself. I live in Ralston, Nebraska, a suburb of Omaha. My husband, Don, is serving his sixth four-year term as Mayor of our city. As you might expect, we are very involved in our community and enjoying serving. We have five grown children and seven grandchildren. I paint portraits and landscapes in oils, and am especially passionate about plein air painting. Again, I am looking forward to another exciting year for AIS. It is truly an honor to serve you. Colorado artist Cheryl St. John is a fourth generation Colorado Native, with a great appreciation of nature and the environment and thepreservation of both. Cheryl works in oils to create impressionistic paintings of the rocky mountains of Colorado, the high deserts of NewMexico, the colorful hillsides of Tuscany and where ever else her heart may take her. Inspiration is all around! 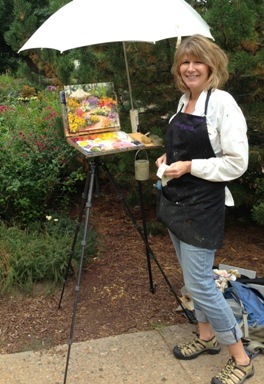 Painting en plein air is always a challenge to Cheryl. The ever changing light and weather conditions create a sense of urgency that translates to a spontaneous and loose interpretation of the scene. "There is nothing like painting on location to catch the feeling of the moment, a beautiful stream in backlight, the smell of lilacs blooming on a warm spring morning or a crisp fall breeze in the middle of an aspen grove", she states. She hopes that these feelings come through to the viewer and tell the story of that particular moment and the joy she felt with each brush stroke to the canvas. Cheryl studied fine art and design at The Rocky Mountain College of Art and The Colorado Institute of Art, as well as with well known artists Kim English, Michelle Torrez, Michael Workman, Ken Backhaus and Robert Spooner. 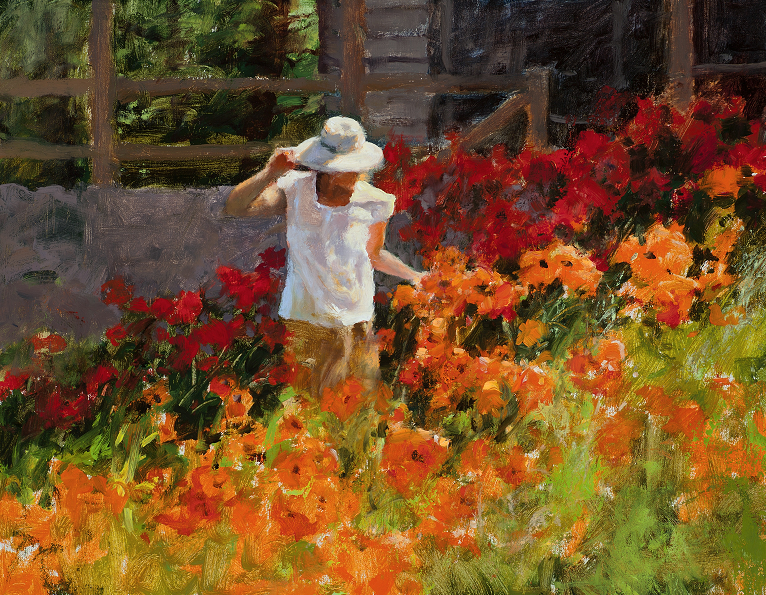 She is a current member of The Art Students League of Denver, signature member of The American Impressionist Society, Plein Air Artists of Colorado, and The Colorado Watercolor Society, and Associate member of Oil Painters of America. She has won numerous awards in local and national exhibitions and is currently in corporate as well as private collections around the world. A most recent highlight in Cheryl's career came in December of 2012 when she was awarded Grand Prize for her painting "Awaiting Spring" in the Capitol Christmas Tree Art Competition. She received her award and national recognition at the 2012 Christmas tree lighting ceremony on the lawn of the National Capitol in Washington DC by House Speaker, John Boehner. The painting is now in the collection of the U.S. Capitol. A brief note to let you all know how extremely honored I am to serve as Vice President of AIS. I am looking forward to another year of working with and getting to know each of you and I fully accept the challenges ahead for 2017. I have experienced many outstanding National AIS Shows and have been grateful and honored to have had the opportunity to show my work alongside the many talented artists of AIS as an Associate member and for the last 3 years as Signature member and Vice President. As Vice President, helping to put together a national show is no small task.... it's a challenge that requires team work and lots of late night hours. I couldn't have taken on what was required of me without the leadership and help of Debra, Becky and Kathryn. They are truly a joy to work with and learn from.... something I did a lot of the past 3 years! I look forward to working on another outstanding national show as a team and can't wait to see the many amazing entries from our talented members. Just a bit about myself....I was born and raised in Denver, Colorado. My formal art education began with Rocky Mountain Institute of Art in the late 70's and Colorado Institute of Art in the 80's. Striving to make my living as an artist I entered the field of graphic design and worked for several graphic design and package design firms in the Denver area throughout the 80's and early 90's. My true passion was always in fine art though, and my heart was continually telling me to get back to painting. Finally in the early 90's I gave in and began to explore my desire for painting and enrolled in classes at the Art Students League of Denver. It didn't take long to realize this is where my lifelong passion was and decided to go for it, quit my job and paint full time! I've never looked back! I feel so very blessed and fortunate to have the opportunity to fulfill my passion as an artist. How many people can really say they love what they do? As painters we get to live our dreams by creating works of art each and every day, something I will never take for granted. I look forward to the year ahead of working to make 2017 the best year ever as an artist and as Vice President of AIS. Donald A. Groesser, our AIS National Treasurer, was born and raised in Weeping Water, Nebraska, where he grew up on the family farm. He holds a degree in accounting and has a wealth of business, sales and management experience, including 23 years at Union Pacific Railroad and 10 years with NCR/Teradata. 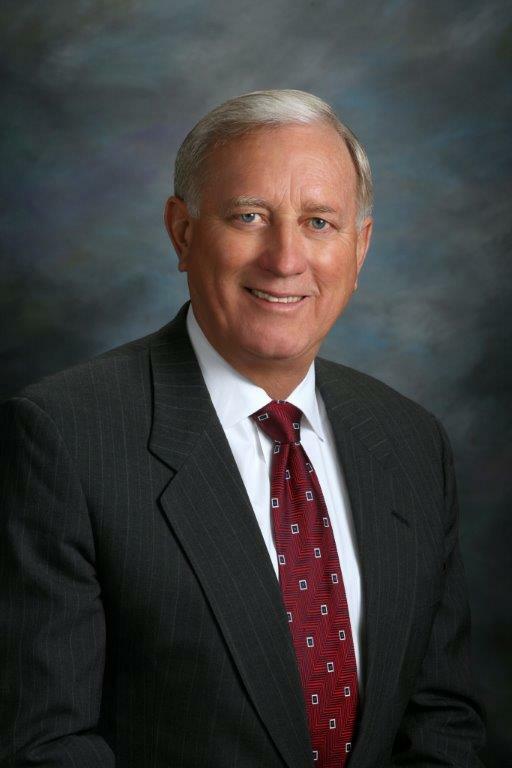 Don was one of three partners who owned an Omaha real estate firm and also he owned an auction company with his brother for many years. He recently learned that he attended the same auction school in Kansas City as AIS Chairman Emeritus T.R. Dickinson did! He is currently serving his 6th term (21st year) as the Mayor of Ralston, Nebraska, (a city of 6,000 people adjacent to Omaha) and works part time in commercial real estate. He also volunteers his time serving at his church and performing benefit auctions for local charities. Don has served as auctioneer for the Door County Plein Air Festival and for the Montgomery Museum of Fine Arts (Montgomery AL) Biennial Art Auction for the past several years. Don and his wife Debra (AIS CEO/President) have five children and seven grandchildren.